Have you always dreamed of being a spy and living James Bond life? Now you can experience training in unarmed combat, firearms handling, archery and stealth from stunt professionals on the Gold Coast! 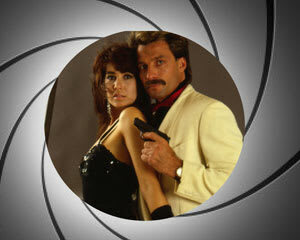 Have you always dreamed of being a spy and living the life of James Bond? This awesome half day of 007-Style Spy Training on the Gold Coast will give you a taster of what it takes to pull off the daring stunts of a Secret Agent! You will receive the highest standard of training from instructors whose students have gone on to perform stunts in Hollywood blockbusters such as Arrow, Furious 6 and Wolverine! This awesome experience begins with a commando style obstacle course which will test your balance, co-ordination and strength! Then you will move on to your training which will cover Unarmed Combat, Firearms Handling, Archery, Knife Throwing and Stealth! Your obstacle course, fight scene and knife fight will all be filmed on your phones to take home with you to share your experience with your mates! A minimum of two people are required for this experience so grab a mate and get set for an experience you'll never forget. Perfect for Buck's or Hen's parties, birthdays and corporate team building. You do not need any prior experience to participate in this experience, however you do need a reasonable level of fitness and agility, and a daredevil attitude! Half day of spy training in: Unarmed Combat, Firearms Handling, Archery, Knife Throwing and Stealth! Please bring your phone charged up as we will film your experience on it for you if you wish!